Creating an e-commerce site is becoming increasingly easier in 2015. In fact, there are a host of companies that can help your business with online shop builders such as this one from 1&1, for example. 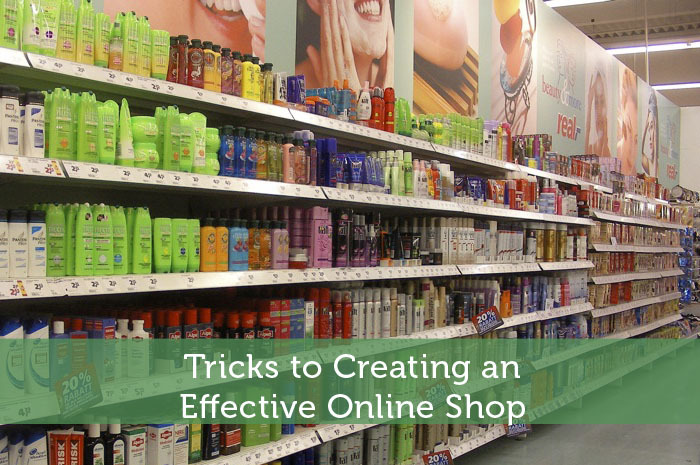 However, creating an effective online shop that will be successful takes a little more thought and consideration and requires some basic planning and tactics. With so much competition out there, your online shop needs to draw new customers in, encourage them to convert, and then encourage them to return for repeat business. Familiarizing yourself with the buying cycle and triggers and designing a marketing plan that strategically targets customers in each of these phases is a good approach. In order to hook new customers, you need to ensure that your site is optimized for search so that it shows up in the original query of the first phase – the customer searching to meet an immediate need. Knowing what they are looking for is the first step to selling them what they need. Once you have hooked them, you then need to strategically devise ways to keep them on the hook. Customers may look at the competition for a better product or cheaper prices, so here is where you need to use your knowledge of your competition against them. Ensure that your price is competitive and that your product is superior. It helps to offer disclaimers that you will meet a competitor’s price or keep on top of your research to ensure that your product beats the price point from other online shops. As far as offering a superior product, it can be helpful to include reviews from past customers on the products that are being offered as well as including good quality product descriptions. At this point you need to be compelling as to why this product and your brand are the best solution for the customer’s needs. The hardest part is getting your browsing customers to commit at checkout and actually convert. Offering incentives such as first time purchase discounts or other bonuses can help to solidify this point of the buyers cycle, but ultimately this part of the buyers journey really depends on the overall shopping experience thus far. How a customer relates to your online business has a lot to do with their user experience. It is therefore incredibly important to include a customer experience first approach when building and branding your online business. First and foremost, you need to make sure that your site is responsive for mobile, since most of your organic search results are going to be coming through mobile. If the page loads too slowly or doesn’t load in a mobile-friendly way, you will lose business. Just as important is engaging your customer base in a personal way. Everything that they can tell you about their experience on your site is important information that can help you improve your services. You should incorporate social CRM (Customer Relationship Management) and user experience tracking tools and methods in order to optimize your site to best serve your customers. Remember that the customer journey does not end at the sale. Since you are more likely to have a past customer return for repeat business then you are to convert a new customer, focusing on customer experience and satisfaction is the true key to success for any type of successful business.